UAE’s capital city is often overlooked by visitors to its larger neighbor. 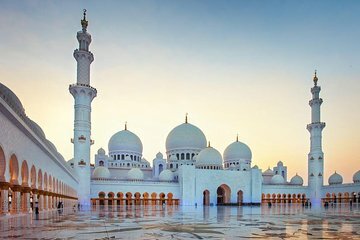 Discover the ancient roots and unique landscape of Abu Dhabi on a day tour from Dubai, traveling the distance easily with round-trip transfer from your hotel. Tick off landmarks including Sheikh Zayed Grand Mosque, the Heritage Village, and Yas Island, and benefit from cultural and historical insights provided by your professional guide.